Welcome to the AFFINITI - a boutique concrete building located in the heart of Fairview Slopes. 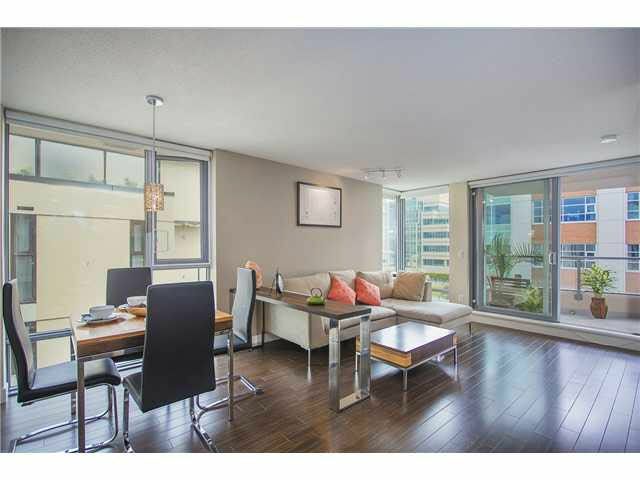 This bright 2 bed, 2 bath corner suite features an open concept plan with floor to ceiling windows. At 100SF, the covered, south facingbalcony is ideal for entertaining. Stainless steel appliances, laminate floors, granite countertops & soaker tub are all yours in this turn-key condition home. The suite includes 1 locker & 2 side by side parking stalls. Pets/rentals ok. Enjoy a care-free lifestyle - you're a short walk to the Canada Line, Granville Island, Olympic Village & great shopping on Cambie Street. May 23 Open House is CANCELED.